JI-LGM system, Feythabolis region. 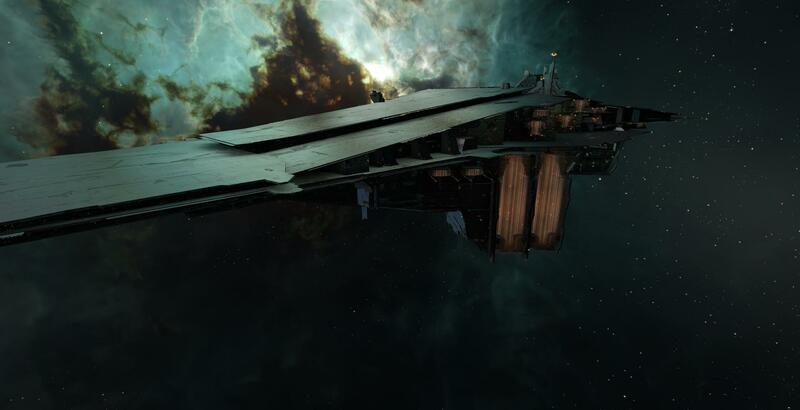 On the 16th of August at 19:40 EVE Time, a battle erupted in the system over an anchoring Fortizar citadel. The battle was fought between Drone Regions Federation (DRF) / Phoenix Federation (PF) forces and Circle-Of-Two [CO2] who owned the structure. The two sides have been embroiled in a bitter war for over a month with Drone Regions Federation / Phoenix Federation pushing back Circle-Of-Two in nearly every engagement. Circle-Of-Two amassed two fleets to defend the structure, bringing to the field an Apocalypse battleship fleet with force auxiliary support which bridged on top of the structure. Meanwhile, a separate super capital fleet was also being prepared. Against this force Drone Regions Federation / Phoenix Federation gathered three separate fleets. Two Machariel battleship fleets and a full Ferox battlecruiser fleet. 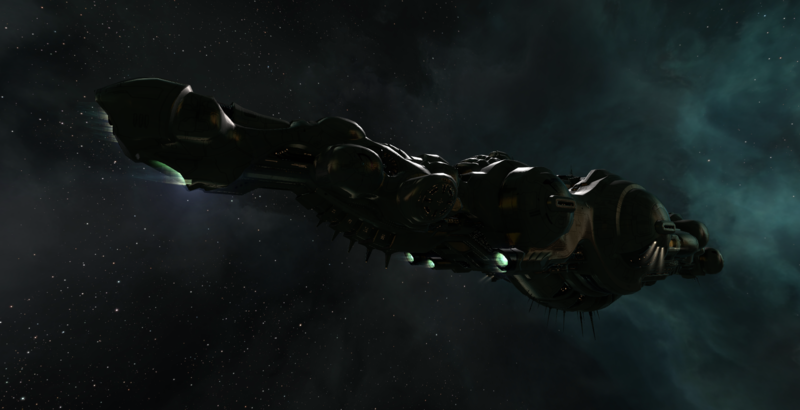 The various fleets made their way to the system either via gates or bridging in to the citadel’s grid. The hostile fleets flocked to the grid, landing at various pings before moving closer to open fire from a distance on the onlining structure. Circle-Of-Two immediately lit a cynosural beacon on the Fortizar and ushered in a portion of its super capital fleet, jumping in super carriers and force auxiliaries mostly while keeping its titans in reserve. Super carriers launched flights of fighters and sent them to one of the Machariel fleets, the small and agile craft burning in to tackle and destroy the battleships, but they warped off. Instead, the Ferox fleet warped in near the cloud of fighters. The battlecruisers started opening fire, reducing the fighters’ numbers with their railguns, but were in turn easily torn apart by the fighter swarm. At the same time Vanguard (VG) coalition interdictors made their presence known in the system, warping on top of the battlecruisers and deploying warp disruption probes to trap them. A new cynosural beacon flared up on the Fortizar allowing Vanguard coalition forces to enter through it. The coalition had broken ranks with the Drone Regions Federation in recent days and entered a war against Phoenix Federation. Deciding to aid Circle-Of-Two as the two share a common enemy in Phoenix Federation, Vanguard assembled a combat carrier / super capital fleet of its own for the defense of the citadel. The combined fleet of combat carriers and super carriers materialized near the Circle-Of-Two fleet and launched flights of fighters of its own. These fighters quickly joined Circle-Of-Two’s and the combined swarm proceeded to tear the Ferox fleet apart. The battlecruisers were in trouble, the fighters tearing them apart in rapid succession while their logistics wing could do nothing in the face of the sheer firepower brought to bear. The battlecruisers continued to target and destroy fighters as fast as they could but it was in vain. The Circle-Of-Two and Vanguard coalition super carriers used their remote electronic warfare modules to keep the Ferox fleet trapped. Warp disruption burst projectors kept many of the battlecruisers trapped on grid while energy neutralizing bursts drained their capacitor, shutting off micro warp drives and shield hardeners that allowed the fighters to cut through the hulls with frightening ease. That said, the Drone Regions Federation wasn’t idle either. With the super carrier fleets focused on the Ferox fleet, the two Machariel fleets warped to the Fortizar to snipe at it from long distance. Drone Regions Federation stealth bomber squadrons also exploited the situation to target the Apocalypse fleet which remained on the Fortizar, firing at the odd Ferox fleet ships that wandered too close to the citadel. With the battleships aggressed they couldn’t tether and waves of stealth bombers swooped in, delivering payload after deadly payload. The battleships suffered a continuous barrage of bombs, each exploding amidst the ships and causing great damage. Within a couple of minutes most of the battleships were already stripped of their armor, their hulls taking direct hits from bombs. Finally a whole wing of battleships simply evaporated by the constant pounding. The Circle-Of-Two sub capital fleet had taken a major beating but that was nothing compared to the Ferox fleet. The fleet had been ripped to shreds with three whole battlecruiser wings gone in less than fifteen minutes. What little survivors were left attempted to extract, warping off to a safe spot in the system before withdrawing from the fight. The Ferox fleet was no more. The Feroxes knocked out of the battle, the super carrier fleets were free to pursue the Machariels. The battleships had continued to focus their attention on the citadel, managing to push its remaining hit points below 50 percent. However with the cover of the Ferox fleet gone, the fighters started to target them, pushing them away from the citadel. The swarm of fighters descended on the battleships which quickly found themselves trapped by warp disruption fields created by the super carriers. The battleships tried to burn away from them but the fighters managed to catch up and started firing on the battleships. The fighter firepower proved no less deadly than it did to the Ferox fleet and soon battleships were exploding left and right as the cloud of drones caught up. Most of the battleships managed to warp off to a ping above but several were tackled by Siren fighters which allowed other fighters to close in on the kill. The Machariel fleets attempted another sniping run, warping at long range of the citadel opposite the fighter swarm only for the same thing to repeat itself. The Machariel fleet sustained further losses and with the citadel’s remaining hit points still above 25 percent it started looking bleak for the Drone Regions Federation forces. With Circle-Of-Two bringing in more reinforcements and the timer nearly running out on the citadel to online, Drone Regions Federation forces chose to withdraw rather than risk further losses. This allowed Circle-Of-Two to claim the field and the strategic objective with the help of Vanguard coalition, scoring a valuable victory after a hard month which saw many losses. With the citadel online and secure the battle was over and Circle-Of-Two and Vanguard coalition forces retrieved their fighters and worked to loot the field before departing and bringing an end to the night’s large scale hostilities. Whether this battle proved to be the turning point in the war is yet to be seen but one thing for certain, the balance of power in the region has shifted once more. Battle report for the JI-LGM can be found here. Exact numbers in the battle are hard to pin down due to multiple participants and the fact both sides had kept reserve forces off the field. Current estimates put the defenders at approximately 500 pilots to the attackers’ 600. All told, the battle lasted a whole hour with the system itself hosting 1125 pilots at the peak of the fighting. Time Dilation kept spiking and subsiding throughout the battle, peaking at one point at 10% though usually remaining around the 50% mark. Circle-Of-Two and Vanguard coalition lost 95 ships in the fighting including 54 battleships for a total of 15.342 billion ISK damage. 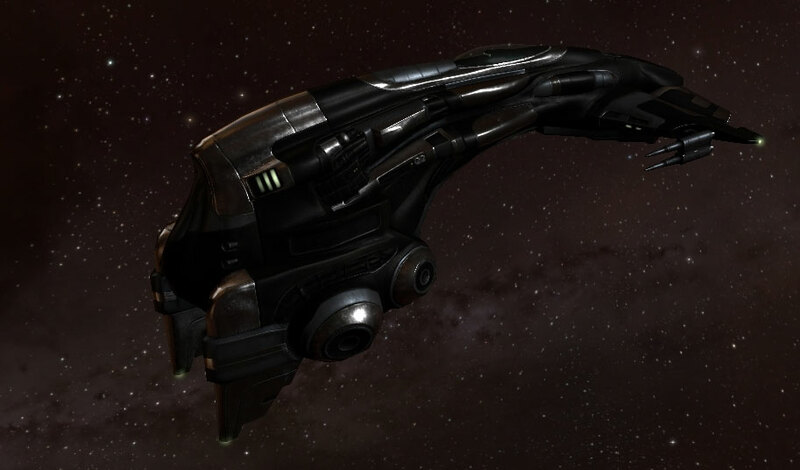 Drone Regions Federation and Phoenix Federation lost a combined 361 ships including 75 battleships and 156 battlecruisers for a total of 97.99 billion ISK damage.